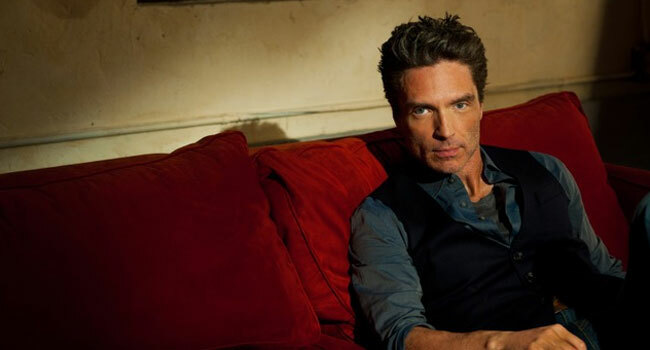 If you grew up in the late Eighties and early Nineties, Richard Marx was probably on a radio near you, frequently. As a matter of fact, he is one of the first male recording artist to have his first seven singles reach the Top Five on the Billboard Hot 100. Since that time, Marx has collaborated with many people including Luther Vandross, Keith Urban, and N’SYNC, writing and producing, and also touring off and on since 2000. Marx’s most recent CD was released in 2014, and he continues to tour around the country. Thursday night (April 27th), he was at the Tachi Palace Hotel and Casino in Lemoore, CA, where I had a chance to catch the show and pretend I was back in my late teens. Towards the end of his one hour and forty minute set, he invited fans to come up closer to the stage where he posed for a few pictures while continuing to sing and even slapped a few high fives. Overall, I thought his voice was strong with some of that Richard Marx raspiness, and the band seemed to be in tune, especially his longtime friend and guitarist Jay, whose guitar work was excellent. Not only is Marx a good singer, but he’s also equally as good a pianist and guitar player. Dave Rodgers is a veteran radio personality, currently working on the air in Bakersfield, CA, and has been a radio personality for three decades. He is also the owner of a mobile disc jockey and entertainment service as well as a teacher. While he has contributed a couple of reviews, he has decided to focus on his company.